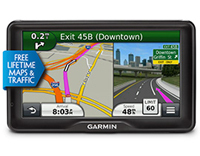 Garmin North America (010-11551-00) | Discount GPS Accessories from mysatnav.ie Ireland's leading GPS & Sat Nav store. 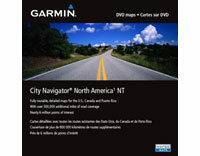 Garmin's City Navigator North America Map contains full coverage of the U.S., Canada and Puerto Rico including metropolitan and rural areas on a handy SD Card. City Navigator includes detailed maps containing highways, interstates, business and residential roads with attributes such as turn restrictions, roundabout guidance, speed categories and other navigation features. City Navigator North America contains nearly 6 million points of interest such as: food and drink, lodging, attractions, entertainment, shopping, emergency services, post offices, camp grounds, movie theatres and more.